Duke’s Nolan Smith is the ACC player of the year, and three of the league’s other individual awards belong to regular season champion North Carolina. 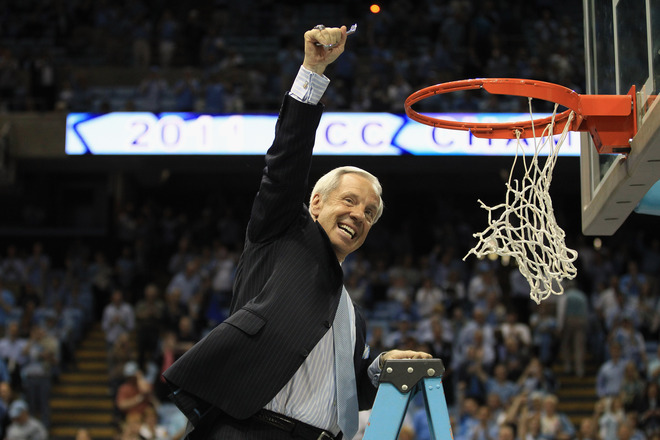 The Tar Heels’ Roy Williams is the coach of the year, Harrison Barnes is the league’s top freshman and John Henson is its defensive player of the year. The individual award winners were announced Tuesday following a vote of 75 members of the Atlantic Coast Sports Media Association. Smith, a unanimous all-ACC pick, received 73 votes for the individual honor. He leads the league with an average of 21.6 points and is the ACC-record 14th Blue Devil to win the award and first since J.J. Redick in 2006. Williams received 52 votes to win the coaching award for the second time in the ACC. He guided the Tar Heels to the outright regular season title and the No. 1 seed in the ACC tournament, which begins Thursday in Greensboro. After losing 17 games last season, North Carolina became the first team in league history to win the ACC’s regular-season title outright a year after finishing below .500 in league play. Two first-year coaches who have teams on the NCAA tournament bubble— Clemson’s Brad Brownell and Boston College’s Steve Donahue—received eight and six votes respectively. Barnes, the preseason pick to win the rookie of the year award, leads all league freshmen with a 14-point average and hit two game-winning shots in the final 10 seconds of ACC road games. He received 64 votes to outdistance teammate Kendall Marshall, who had seven, and Wake Forest’s Travis McKie, who had two. He’s the ninth North Carolina freshman to win the award and first since Brandan Wright in 2007. Henson, a sophomore who averaged nearly four blocked shots in conference games, became the Tar Heels’ fifth defensive player of the year and first since Danny Green in 2009. He was voted first on 49 ballots to finish ahead of Florida State’s Chris Singleton (16) and Georgia Tech’s Iman Shumpert (2). Hokies Win "Engineer Bowl For Hoopsters"
Q: Is Charlie Sheen Still Alive?